Our team at Advent Physical Therapy in Hastings, Michigan knows that concussions are serious injuries. If you have symptoms of a concussion, we may be able to help you manage them better. Advent Physical Therapy was originally founded in 1996. Since then, we’ve been working to ensure that Hastings, Michigan residents have access to great physical therapy. One reason our therapy plans are so good is that we personalize them to you. First, we’ll sit down with you and discuss all of your concerns about your condition. Then, our team will help you come up with reachable therapy goals. Finally, we’ll create a therapy plan that helps you reach your goal, and we’ll provide you with support and encouragement through every step of your therapy. This personalization is one reason you want the Hastings, Michigan Advent Physical Therapy team on your side when you have a concussion. When you’re dealing with a concussion, our team knows that your daily life may not be very fun. One thing we know that may help you confront your concussion is getting a better understanding of what a concussion is. Our team knows that most concussions are caused in one of two ways. The first way your concussion may have been caused is by a strong blow to your head. We often see this kind of concussion in patients that play contact sports such as football or soccer. The second way you may have gotten a concussion is your head may have been violently and uncontrollably shaken. When we see this type of concussion, it’s usually because the patient has had a traumatic accident, such as a vehicle crash. In either case, our team knows that you may be experiencing many symptoms from your concussion. These symptoms may include things like headaches, dizziness, confusion and excessive fatigue. Our physical therapy plans for concussions are designed to help you treat your symptoms. 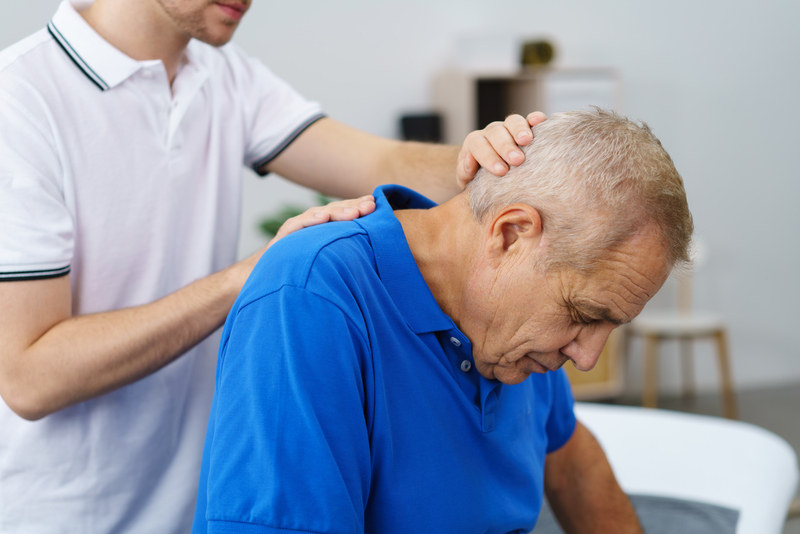 For example, we may use manual therapy methods on your back, neck and shoulders, and the therapy on these areas may help to relieve your headaches. We may also be able to help you manage your dizziness as well. This may be possible thanks to therapies such as joint range-of-motion exercises and muscle-strengthening exercises. Our team at Advent Physical Therapy is standing by to help you with your concussion symptoms. In fact, we’d like to help get you in to see us as soon as possible. That way, we may be able to help you find relief quicker and help you get back to your normal life sooner.